Americans With Disabilities Act restaurant table compliance. Photos, drawings and links to authoritative resources. The Americans with Disabilities Act is a Federal civil rights law that prohibits the exclusion of people with disabilities from everyday activities, such as buying an item at the store, watching a movie in a theater or enjoying a meal at a local restaurant. The law established requirements for private businesses of all sizes. These requirements first went into effect on January 26, 1992 and continue for both for-profit and non-profit organizations. Accessible seating requirements also have changed. 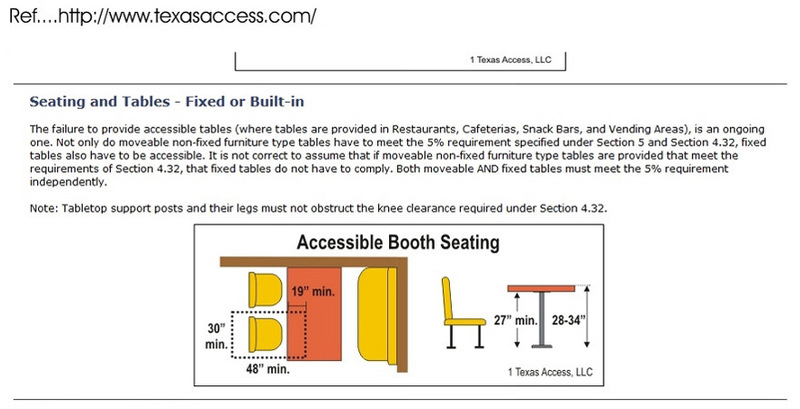 Under the 1991 standards, 5 percent of restaurant tables needed to be accessible. The 2010 ADA guidelines expand this to 5 percent of all eating surfaces.. 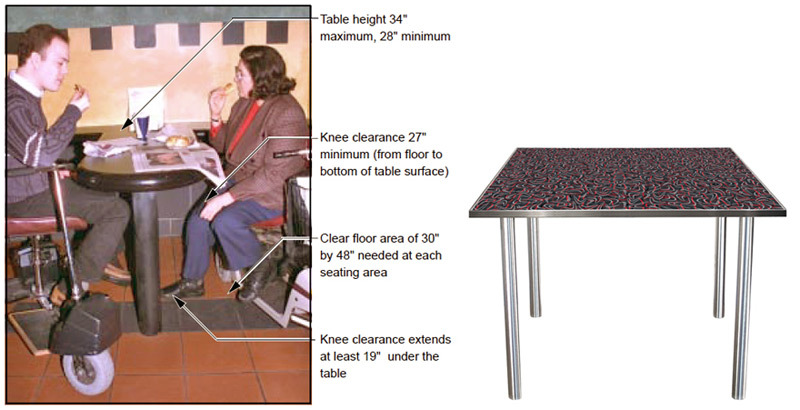 Most Four Legged Tables Can Comply With ADA Requirements If The Open Area Between The Table Legs Is At Least 30". 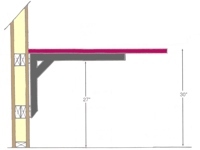 An accessible table has a surface height of no more than 34" and no less than 28" above the floor. At least 27" of knee clearance must be provided between the floor and the underside of the table. An accessible route provides access to each accessible table and a clear floor area 30" X 48" is provided at each accessible seating location. 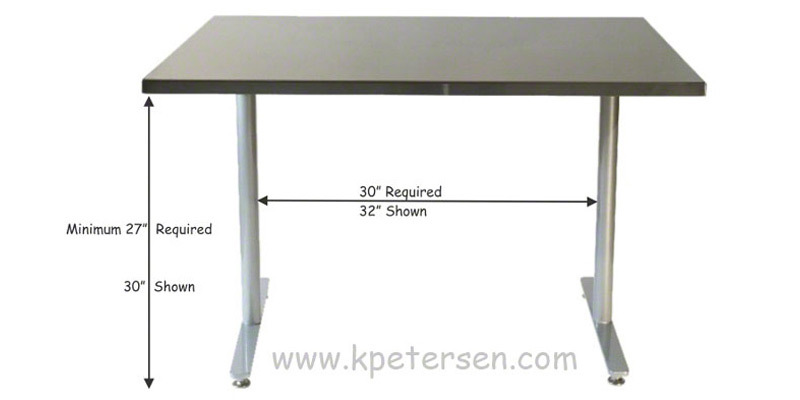 This clear floor area extends 19" under the table to provide leg and knee clearance. addressing access compliance issues in buildings and facilities throughout California. Interesting Q and A Forum at above Ashdown Architecture website.